← Want a story fast? 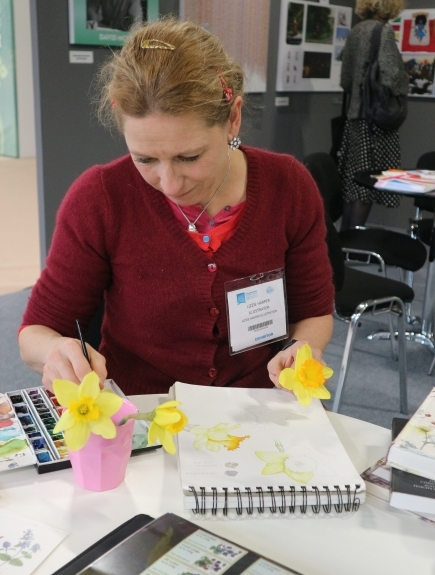 As this was part of the London Book Fair it’s only right to include a section on another vital aspect of the business, so it was great to see a separate area where illustrators could exhibit their work, present portfolios and meet prospective publishers. Three people I’d like to give a special mention to: Tita Berredo – a talented writer and illustrator based in Glasgow (www.titaberredo.com); Lizzie Harper – natural history and general illustrator (www.lizzieharper.co.uk); author and illustrator Patrick Kennedy (www.upfunt.com). Their websites are all worth checking out for the sheer variety of styles they offer. A quick shot of Tita Berredo’s display panel (below left), Lizzie Harper (below right) at work illustrating in water colour and Patrick Kennedy (centre) working on a lino cut of a Pangolin – detailed, painstaking work. 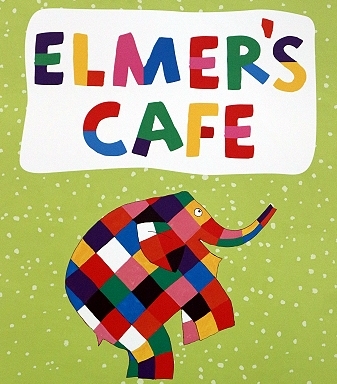 David McKee was the Illustrator of the Fair celebrating 30 years since the launch of his Elmer the Elephant character published by Andersen Press. 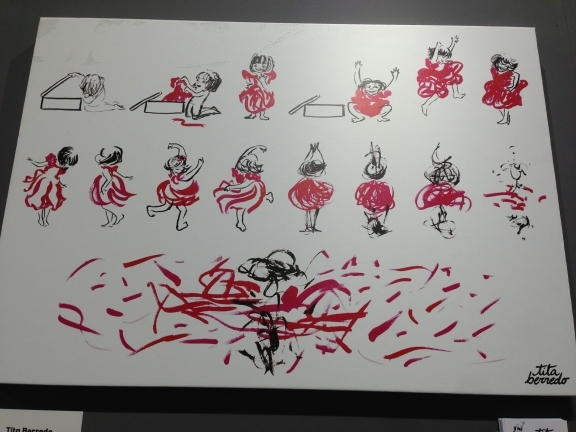 The 84-year-old picture book illustrator was interviewed for a ‘Fireside Chat’ in the Podcast Theatre situated on a very busy corner of the Grand Hall. 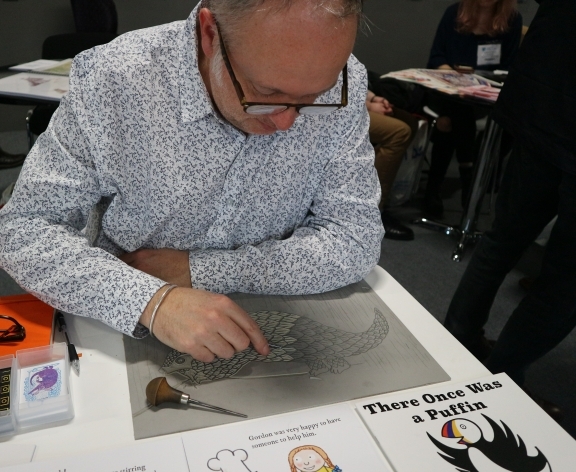 It was a fascinating insight into an ‘old school’ illustrator – no computer, scanner or fancy software – ‘If I make a mistake or don’t like the finished picture I just start again’ – gasps from the assembled crowd grasping their digital tablets. He still uses gouache, crayons and pencil for his work. 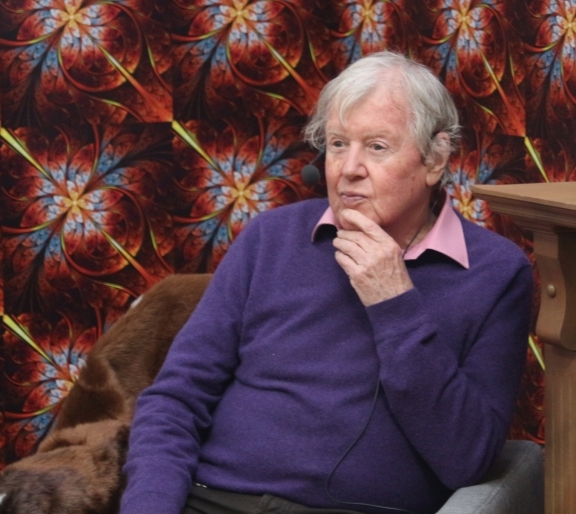 McKee’s inspiration comes from his love of elephants and the influence of artist Paul Klee. When asked to give a professional hint or tip to the waiting audience he replied that he hadn’t got anything much to say, but aspiring illustrators should really enjoy what they are doing and, if they didn’t they should do something else. I think that goes for pretty much everything in the book world. I hope that this section will be repeated next year.